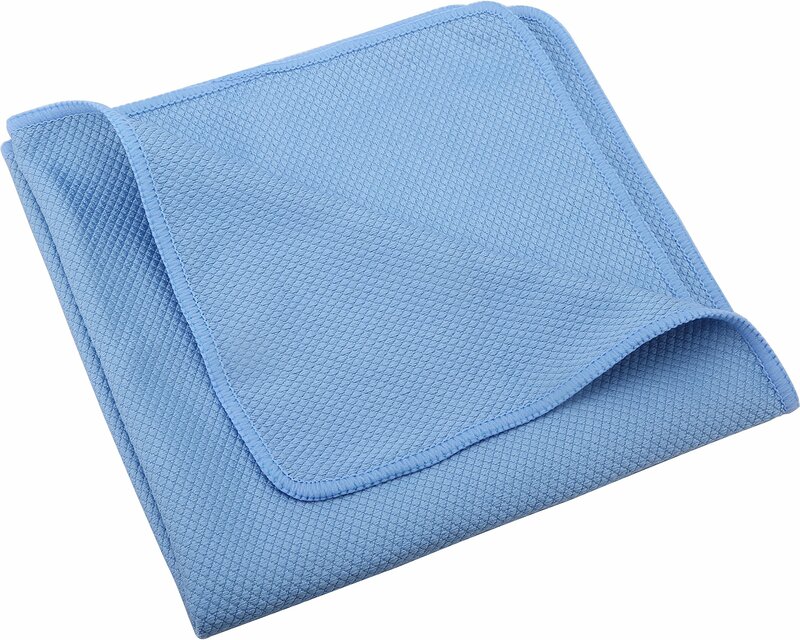 Home › Microfiber Cleaning Cloths For Polishing Stainless Steel Kitchen Appliances &..
Microfiber Cleaning Cloths For Polishing Stainless Steel Kitchen Appliances &..
Make cleaning a snap. An essential tool for any kitchen, car or business, Pro Chef towels utilize microfiber's polishing abilities to provide a fast and easy approach to cleanliness. An old towel may scratch or create a swirled appearance, but these lint-free towels take the worry out of cleaning stainless steel surfaces, glass, screens and lens. Protect the case of your laptop, cell phone and valuable electronics from cleaning damage. From refrigerators to toasters, countertops to faucets, windows to mirrors, Pro Chef will create a shiny finish and upgrade the atmosphere of a room to one of professional cleanliness. Works like a magic eraser on the outdoor patio furniture or bbq grill. Pack one for the lake or cottage. Keep one in your glove box for a handy car care solution. The gentle cleaning action of these towels will keep your chrome shiny, mirror spotless and your dashboard dust-free. No need to worry about harming the finish of your important investment. Your car will shine in no time and the safety edging makes these towels scratch-free. Are your car glass windows smudged by pets or baby back seat passenger fingerprints? Pro Chef makes it easy for a mom or dad-on-the-go to tidy up a car's appearance with little effort. As a windshield cleaner it works wonders as an invisible anti-fog treatment without using products like Rainx or Windex. Here's a warning: Stock is limited! Act now to take advantage of the introductory discount price while it lasts. All you need to do is click the button at the top of this page to have your order rushed straight to your door. A final bonus: There is absolutely no risk involved with our 100% money back guarantee! If you are not completely satisfied, you will receive a full refund. Period. We want our customers to be happy and satisfied. Quality is backed by a lifetime replacement warranty against any defects.